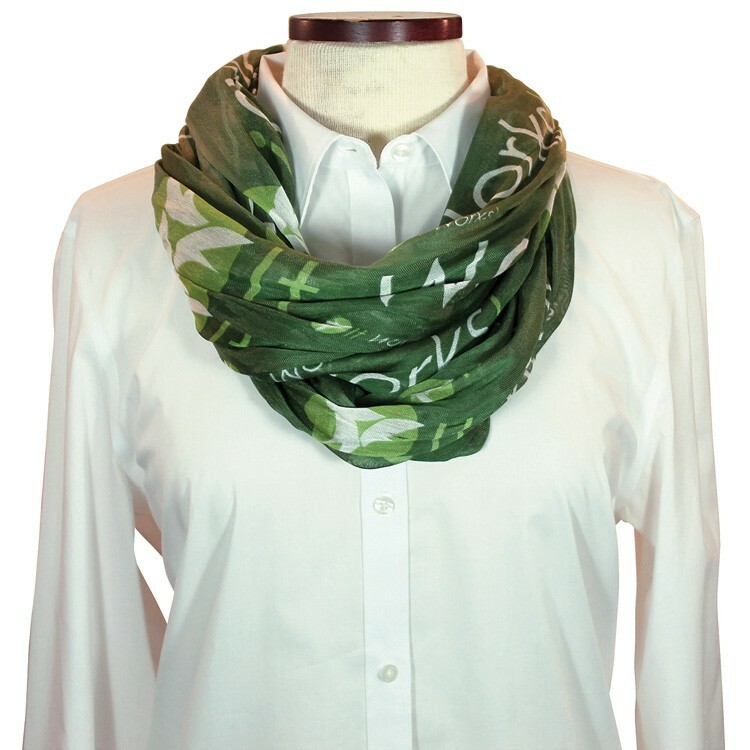 Bring corporate branding to a new level with custom wet dyed infinity scarves. Ideal for trade shows, uniforms, sales events, promotions or incentive gifts, custom infinity scarves are sure to attract attention. Coordinate these unique and highly functional 100% cotton scarves with wet dyed or woven ties for a complete look. Standard size is 25" x 60". Complimentary artwork up to 5 colors (maximum including background), pre-production sample and set-up included with completed order. Complimentary artwork up to 5 colors maximum including the background, pre-production sample and set-up included with completed order.